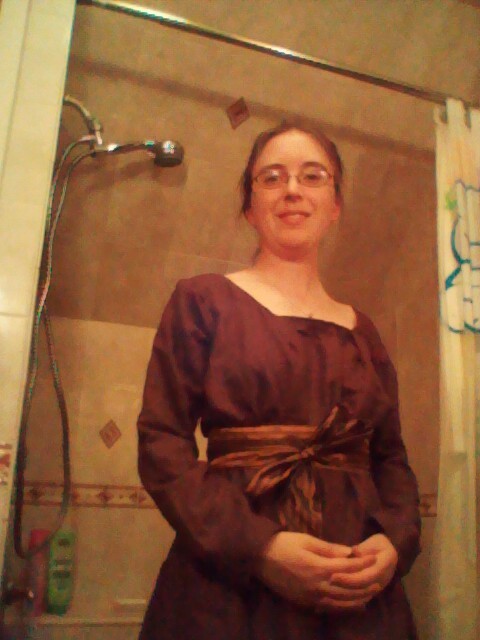 So, I’m not entirely happy with how it came out, but I loved the fabric. It is brown with a raised line pattern going throughout and is subtle, but pretty. While making this dress, I had to really futz around with the scoop in the front since I had cut it too big and didn’t realize that until too late. How historically accurate is it? Fairly. Women would probably be wearing this outfit made out of fabric with a pattern on it. Total cost: Maybe $60 in materials? So, I had planned on getting this blog back up and running with my entries in the Historical Sew Fortnightly. And then I got sick. I couldn’t even make chocolate chip cookies properly last night and my typing right now is horrific! Bi/Tri/Quadri...: I will be remaking the dress I did this summer so that it actually comes out properly for the War of 1812. Will have to change it a smidge to fit 1813, but not much. UFO: I actually do not have a UFO, so I think I might try to make a little something like an 18th century pocket. Under it all: Already finished my stays, so I think bloomers are next! Or a chemise. Embellish: I will embroider my pocket that I made in challenge 2! 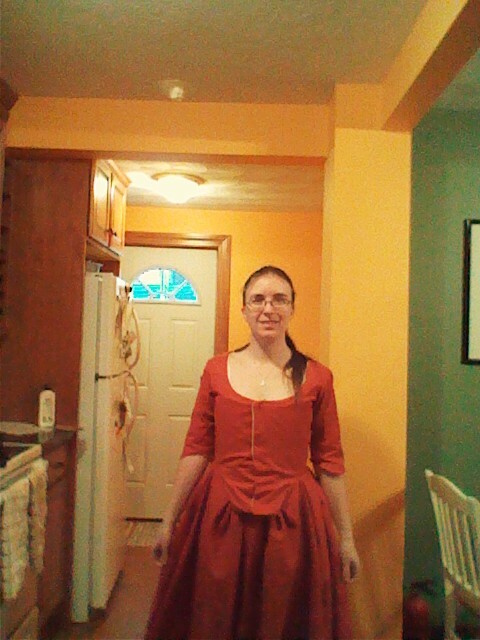 Peasants & Pioneers: Maybe the beginnings of my Abolition dress? Stripes: No idea yet…stripes are hard!